all the bt840 appear to have the same icid. what you refer to as serial number i think. And here is the link for its’s Documentation. which on closer inspection is not what I need. Looks like this is more relevant. What is a bit confusing is that Nordic uses the term MESH for their own Bluetooth 5 protocol, whereas Thread stands for OpenThread protocol which the Particle Devices are based on. 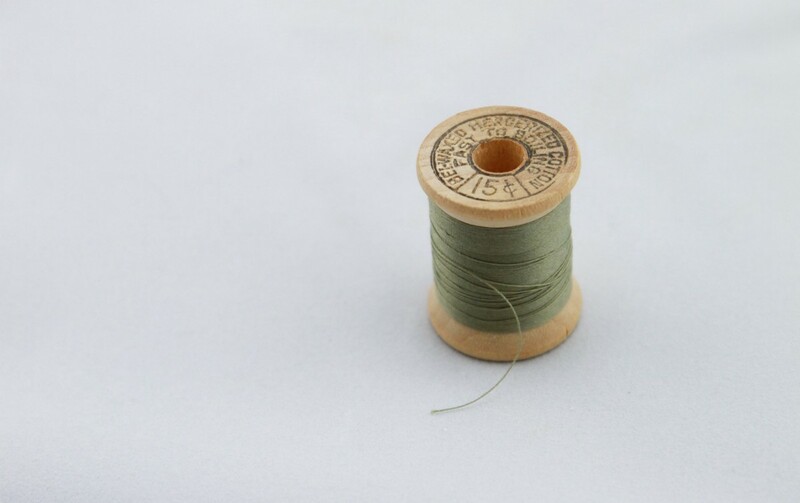 Is An End-Product Based On OpenThread Automatically Thread-Certified? No. If a company uses OpenThread to build a product, they need to be a member of the Thread Group in order to gain the Intellectual Property (IP) rights to ship Thread products and to complete product certification, which ensures that products using Thread work together effortlessly and securely right out of the box. That last line is best part, I wonder if any of the development devices work effortlessly and securely right out of the box. Strange that it is Open Source and Intellectual Property all at the same time, probably best to read the small print. This link shows the OpenThread license. Would this mean that if you sold a product built with Particle Mesh you’d have to get it OpenThread certified? Probably a good idea to put this in it’s own topic. Stuff like that this me glad I am a teacher and don’t have a startup. Anyone know how much it costs to be a member of the thread group and to certify an OpenThread product? the bsd-3 license they use is the standard one. the 3rd clause means that you can not use the names to endorse the product which i think in this case means certified. the way i interpret it is feel free to use the code but include the copyright. at the same time do not label the product a certified or endorsed by the copyright holders which in this case are the OpenThread authors unless you have their permission which probably would mean having to join the group. my guess is as long as the product does not say certified OpenThread or use any of the authors/group names but otherwise works it would be ok. thing is marketing it that way would limit traction in the marketplace. the copyright holders are ok with you using the code they just don’t want you mucking up their good name by marketing it as endorsed/certified unless you go through their process. that’s my opinion based on previous bsd license experience but not openthread. also, i’m not an IP lawyer. This is getting off topic but, Particle is a certified Thread Product (I think) but it looks like I am the only one working on getting the Particle devices to work with other Thread devices which I think is the tone of the statement below. to complete product certification, which ensures that products using Thread work together effortlessly and securely right out of the box. I guess at some point Particle will have to activate OpenThread connection protocols to be compliant with their OpenThread certification. which would have been very helpful if I had found that 2 weeks ago. "I guess at some point Particle will have to activate OpenThread connection protocols to be compliant with their OpenThread certification." but anybody who spends an hour or so in that forum can see that the concept of “work together effortlessly and securely right out of the box” starts with OpenThread getting their code together to achieve that goal. They are pre-programmed with Bluetooth functionality, not the NCP I want for the Open Thread Border Router. Not sure yet if they will let me have the private key, but they are talking to me by email. Here is a link of a possible way to install the secure bootloader for OpenThread. The windows install is super easy just go to this page https://github.com/NordicSemiconductor/pc-nrfutil/releases and get the top .exe file or click here for windows nrfutil version 4.0.0. So I got a debug private and public key from Fanstel and this command seems to generate a package. The following command works but not sure if it is what I want to be able to connect this to the border router. My next problem is that I am not sure if I need to generate a bootloader or an application. Either way it should be fun breaking the Fanstel Dongle. Hoping that my pre-loaded OpenThread Border Router Seeestudio Dongle ships tomorrow. Nice primer for anyone looking into OpenThread. Learn how to play with the new OpenThread implementation on multiple nRF52840 development boards. The other 100 attempts it gave all kinds of error messages but this time it uploaded and said it was successful. But now the Dongle does nothing and I am not sure how to get it back into DFU mode. (button combination???) The two buttons seem to do nothing and no LED’s active. Here is an example settings command. I love the emotional highs and lows of programming. Very hard to get this across to my students. The total programming roller coaster is where the fun is. I tried using a stick to hold down the hard to reach button when the device is plugged into any USB connection but could never do it so I thought it did not work. Howeve, using a usb extension cable I managed to push the button. Fanstel, completely secured really hard to program. Nordic, No security, they work but everything is still fairly confusing. Seeedstudio, Pre-installed NCP firmware, will arrive in a few days. This openthread stuff is really confusing to work with. I am making a cookbook of how to do things, just testing stuff now. I really think other Particle Developers should get interested in this. It would be nice to have help. Making your own Particle OpenThread might be really useful, especially for testing. So things are getting there. Something I don’t yet understand, do you register your devices with the particle cloud at all? Do they have any internet connectivity? Working on both options. 1. Install openthread ncp on the Argon, interesting if it can be done but probably very limiting. 2. Connect regular Argons to a border router for interconnectivity. That is probably the best route. Then the border router could provide an internet connection or the particle cloud could be your internet. A 3rd route is that Particle actually embraces and promotes their awesome hardware as having openthread connectivity, not easy to work with, like the Particle cloud is, but a free option for the advanced developer or cheap educator. So glad @ScruffR has joined this thread, perhaps he can use his big brain to help solve the Openthread-Particle Interconnection problem. But Particle Mesh products, that have been heavily advertised as being OpenThread based, do not work with Openthread. @ScruffR loses his chance to make money and goes back to helping people for free on the Particle Forum. Particle is having with the Mesh devices. It’s only us Hobbyists that already love the Particle products that are loyal enough to hang around to see how this thing pans out. Here is my Quickstart Guide to OpenThread. It is perhaps the ugliest web page I have every made, but the OpenThread documentation is very confusing and I am trying to simplify it. @ScruffR you are really perhaps the best person to help Particle by solving the Openthread-Particle Interconnection problem, do you have any useful positive ideas? @rocksetta I learned that @bsatrom has some info about how you can access and interact with the Particle Thread network using Zigbee devices. You can thank @nrobinson2000 for bringing this up on your behalf in another discussion. I learned that @bsatrom has some info about how you can access and interact with the Particle Thread network using Zigbee devices. Not finding any information about Particle Thread with Zigbee. You guys: @RWB @bsatrom @nrobinson2000 got any links I can look at? Hey @rocksetta I don’t have any resources on this yet, only plans to create them. Hoping to do this in the next couple of weeks and I’ll start sharing as soon as I have something! Border router or AP for non particle mesh devices?